Bali and the surrounding area is world famous for its surf and the tropical climate offers a perfect location for year round surfing tours. 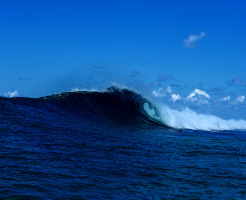 A surfing charter around the Indonesian Archipelago is a surfers dream. 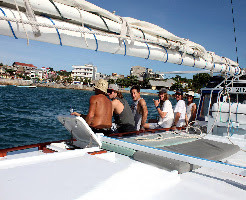 A live on board charter boat is an excellent way to experience some of the best surfing spots available and sharing with a group of friends is a great way to share the costs. You can join a larger boat and meet new friends or you can get a group of friends together and hire a private charter boat yourselves. This can reduce the costs to as little as $150 per day per person with all food and drinks included. The crew will include a cook who can create dishes to order and generally the food is excellent. A 10 day charter will enable you to visit more remote areas which offer less crowded breaks and idyllic locations. Surf spots around Mentawai offer perfect breaks in areas which are almost completely undeveloped and not crowded like some of the places closer to Bali. 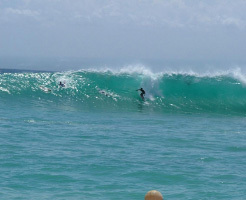 Closer to Bali there are surf spots to suit surfers of all levels. From Playgrounds in Lembongan, which suits beginners to reef breaks such as shipwrecks which is suitable for more advanced surfers, a charter surfing holiday enables you to move to whichever location you choose. As conditions change throughout the year and on a daily basis, your crew can advise on which places will provide the surf you are looking for. You can also do a bit of fishing in between surfs and provide your chef with the freshest seafood ingredients.